Austrian anatomist; born at Raab, Hungary, in 1849; educated at the University of Vienna (M.D. 1874). In 1875 he became privat-docent of anatomy at the Universityof Utrecht, and he was appointed assistant professor at the University of Vienna in 1879, being made professor at Graz in 1882. Since 1888 he has been professor of descriptive and topographical anatomy at the University of Vienna. 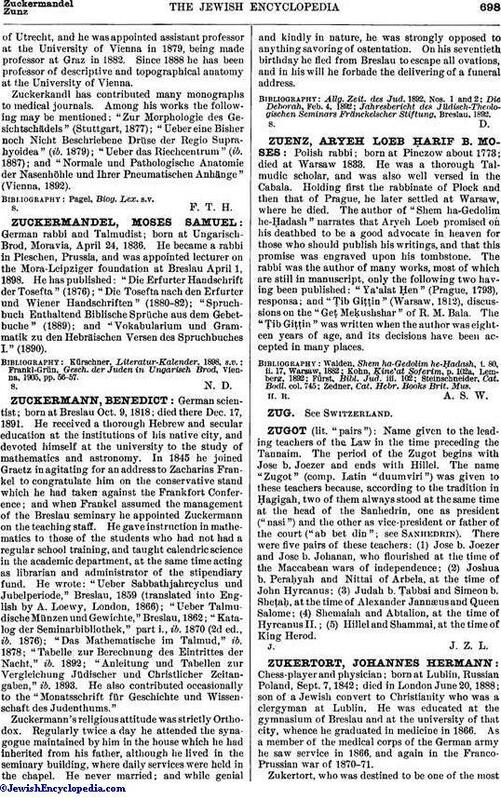 Zuckerkandl has contributed many monographs to medical journals. Among his works the following may be mentioned: "Zur Morphologie des Gesichtschädels" (Stuttgart, 1877); "Ueber eine Bisher noch Nicht Beschriebene Drüse der Regio Suprahyoidea" (ib. 1879); "Ueber das Riechcentrum" (ib. 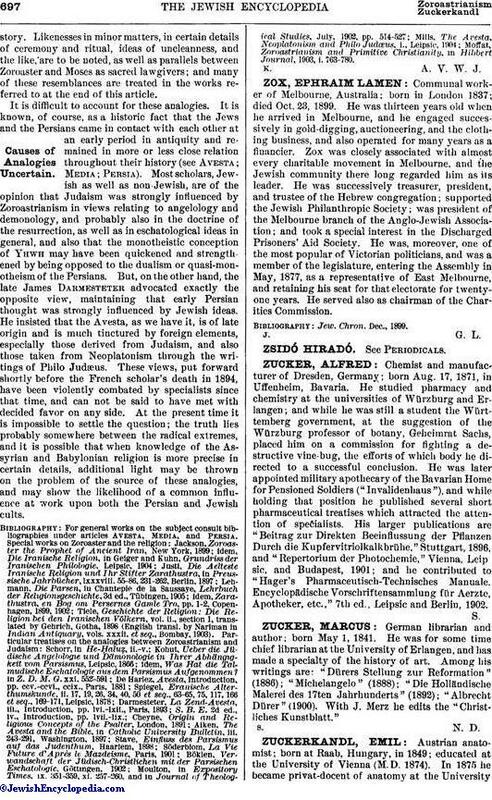 1887); and "Normale und Pathologische Anatomie der Nasenhöhle und Ihrer Pneumatischen Anhänge" (Vienna, 1892).